Easily search words in Google, MacUpdate and many more. Is there a better alternative to Web Search RSS X? Is Web Search RSS X really the best app in Internet Utilities category? Will Web Search RSS X work good on macOS 10.13.4? 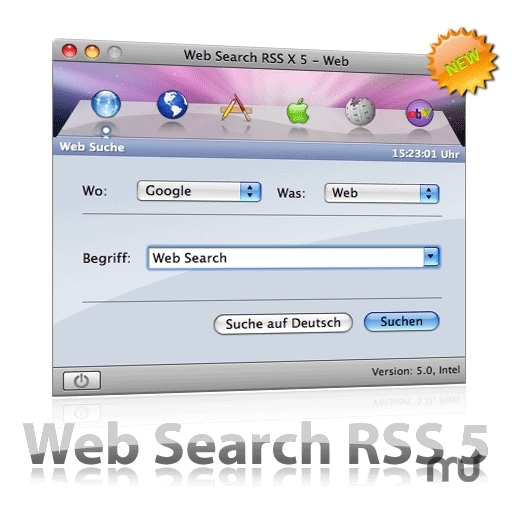 Web Search RSS X With this application you can easily search Words in Google, MacUpdate and many more! The reason why I decided to make Web Search RSS shareware is based on the expenditure of time that I need for the developement of my application. Buy Web Search RSS now! Download the German version here. Web Search RSS X needs a rating. Be the first to rate this app and get the discussion started!